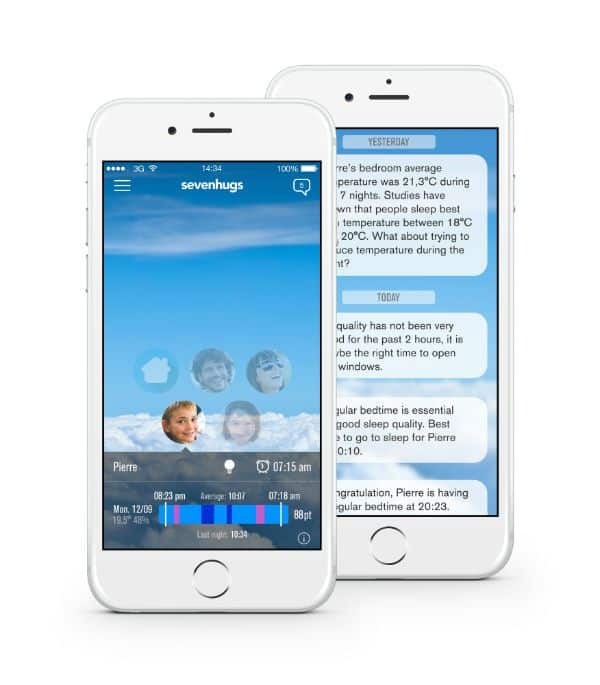 Sevenhugs has created HugOne to monitor sleep for the entire family. There are dozens of apps and gadgets dedicated solely to monitoring your sleep. But, HugOne from Sevenhugs is the world’s first family smart home sleep system. The HugOne is designed to improve rhythm and quality of sleep. Its aim is to keep the entire family’s sleep cycles in sync. This will minimize both children’s and parents’ chance of being deprived of much-needed rest. Hopefully, the end result is a happier home. HugOne is a cube-shaped hub that you can place anywhere in your home. It connects to a number of smaller pods called “Minihugs” which are placed on the edge of each bed. You can place a “MiniHug” in each of your children’s beds and even your own. They monitor the sleep patterns and other data coming from the person sleeping in that bed. 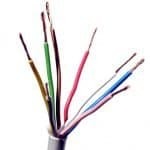 The data is then sent to an app on your smartphone. 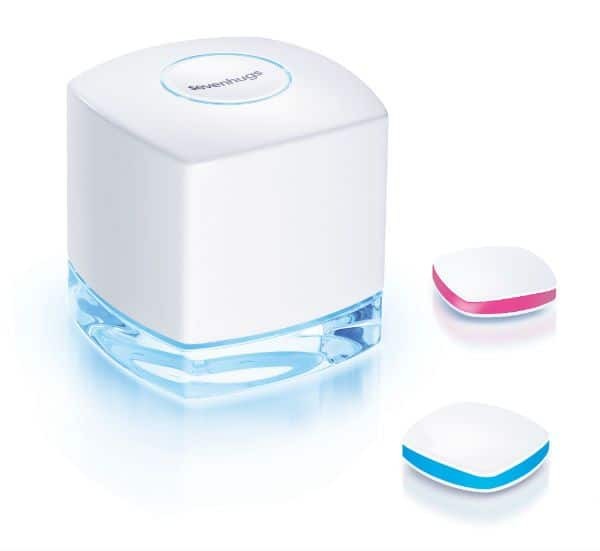 The HugOne also monitors humidity and air quality. 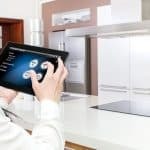 It can even connect to a Nest smart thermostat (more info) and Philips Hue light bulbs for some added home automation possibilities. Why Would You Need The HugOne? Sleep is a precious thing nowadays. It’s something that a lot of people do not get enough of. 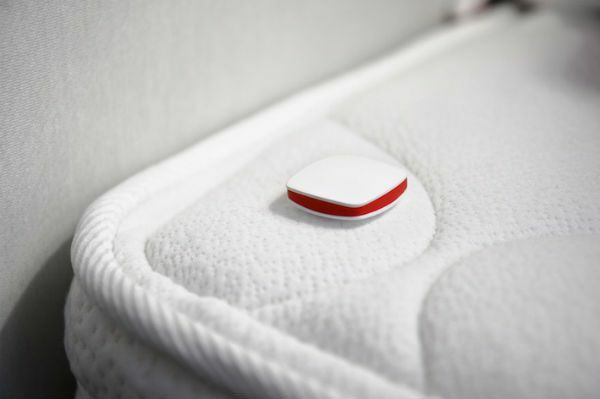 Of all the hundreds of devices designed to monitor health and safety, few can have as immediate an effect as improving your sleep. Most schedules are centered on getting things done rather than getting the right amount of shut-eye. Although getting more things done during the day can definitely have its immediate benefits in terms of productivity, it often comes at the cost of sleep deprivation. Chronic sleep deprivation exposes adults to hormonal changes which can have long-term health consequences. Sleep deprivation is not only an issue among adults. Children can suffer from sleep deprivation too. Getting enough sleep boosts a child’s immunity, enhances learning and is generally essential for a child’s well-being. We live in a world where there are countless media sources screaming for your child’s attention. Video games, YouTube videos and smartphones immediately grab their attention in times when they should be going to bed. Sometimes it is very difficult to tell them that it’s time to go to bed, especially when they are in the middle of a game or video. Lack of sleep has long term consequences in several areas of a child’s life. Children who get less than 10 hours of sleep are three times more likely to be obese. Studies also say that irregular sleep patterns among teens and children are associated with the increase in doctor’s appointments. In adolescents, reduced sleep makes a child more likely to struggle with verbal creativity and problem solving. Another concerning statistic about sleep deprivation among children is its association with ADHD. In a survey conducted among 2,500 children, five out of six kids with sleep problems are likely to be hyper and aggressive. What Else Can The HugOne Do? The HugOne helps you to let your kids know when it’s bedtime. Like a reverse alarm clock, the HugOne glows when it’s bedtime. This provides a uniform, well-timed signal that the children will need to sleep. Once your child is asleep, the HugOne stops glowing and starts transmitting data through the MiniHugs which will send out updates. It also closely monitors your children’s sleep patterns. Each of the MiniHugs sends a signal to the HugOne which then tells your smartphone app if your child tosses and turns during the night. If your child leaves the bed, the HugOne tells you immediately. The HugOne also monitors the bedroom’s temperature, humidity, and indoor air quality to help maintain a healthy environment. It will tell you if you maybe need to open a window to let some fresh air in or whether the room is too cold for a good night’s rest. All data coming from the Minihugs will be transmitted to your app so you can have access to all the data regarding your family’s sleep patterns. The app is available for both iOS and Android. The app allows you to keep track of your sleep times and your ‘sleep score’. One of the reasons you wake up woozy and unrefreshed after an alarm goes off is because you wake up in the middle of a sleep cycle. HugOne offers an innovative alarm that helps identify the best moment in your sleep cycle for you to wake up. This way you wake up at the best possible time without having to be late for work. 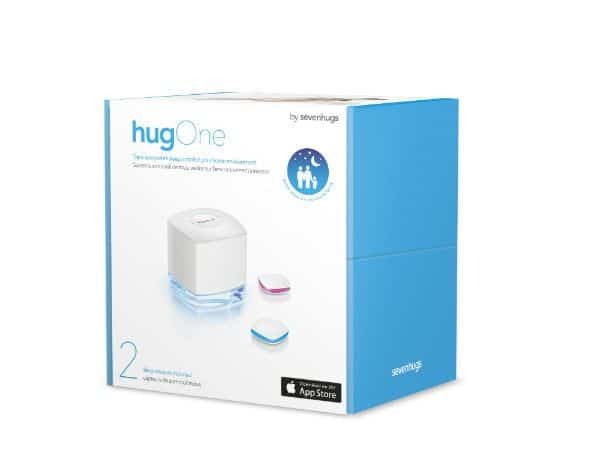 OneHug is also compatible with Phillips Hue light bulbs and Nest Learning thermostat. 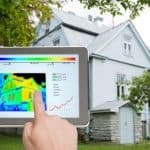 You can connect it to a smart thermostat to adjust your home to your preferred sleeping temperature. It will automatically go back to your preferred daytime temperature when you wake up. You can also utilize your smart bulbs to help you fall asleep and wake up naturally. The HugOne can work with the Philips Hue smart bulbs to simulate sunset light. Your Philips Hue lights will slowly fade off to darkness as you fall asleep. Then, it can reverse the process in the morning with a simulated sunrise. If your life is out of sync due to different distractions brought about by different media or simply because you are a parent that cannot put your kids to bed on time, then the HugOne might be for you and your family. HugOne can bring harmony back into the daily cycle of your family life. The Sevenhugs HugOne is available for purchase on Amazon. It includes the hub and two MiniHugs. Additional MiniHugs are available for purchase as well. You can use up to eight Minihugs on a single HugOne.